If you’ve been looking to give your home the much-needed makeover it deserves, you should prioritize the concrete that surrounds your property. Not only will it increase the value of your estate, it will make it all the more alluring. Revitalizing one’s concrete fixtures is a surefire way to become the talk of the neighbourhood without the stress of re-doing the exterior of one’s abode. Not only are new, evened-out walkways functional – they’re also eye-catching. No matter how your actual home may look, by surrounding it with fresh concrete, you’re bound to trick the naked eye into seeing something luxurious. Modern contractors even have the ability to create unique patterns by way of stamped concrete. Given its aesthetic durability, you can either go with an elaborate, ornate design, or a simple stamped pattern that gets the job done and comfortably functions as an even walkway. Ultimately, it depends upon your budget and the contractors you seek out. Some companies, such as the talents at Elite Concrete – are both affordable and renowned for their decision to make use of only the finest materials. This is why you should give careful consideration to the company you choose, which can make all the difference while renovating. 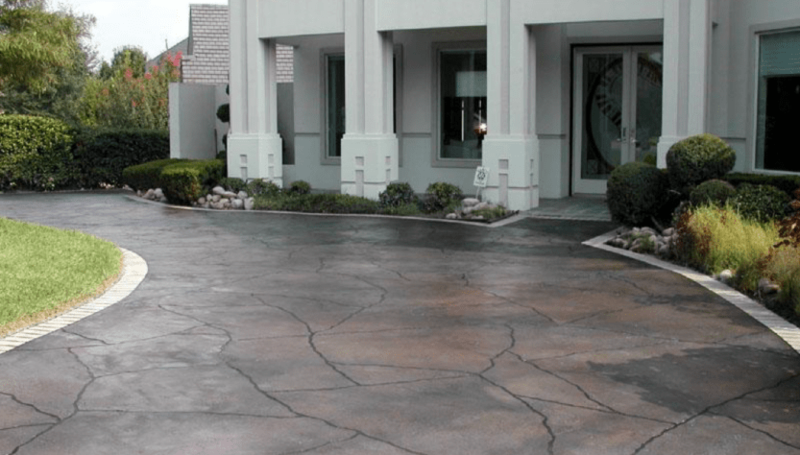 Driveways, for obvious reasons, are parts of one’s home that will undoubtedly incur the most wear and tear. That’s why if you decide to revitalize it using the services of skilled contractors, it’s important to use only the best materials possible. Given that you don’t want to have to be repaving your drive every five or so years, it’s best to stick with the pros and avoid DIY jobs. However, this doesn’t mean you should avoid maintaining the concrete, once it’s laid down. Whether or not you decide to seal the concrete professionally or you go the DIY is entirely dependent on your budget. In any case, it should be done promptly after the installation of the concrete. If you’re already opting for a new driveway this summer, you may as well go all in and finally build the patio of your dreams, as well. Installing a backyard patio or an area for a gazebo is bound to impress every guest who has the privilege of sharing it with you. Not only is it the perfect place to enjoy private parties, during the summer months you’ll be able to cook up all the barbequed foods imaginable. With these tips in mind, your home’s curb appeal will be increased significantly in no time at all, and without inflicting too much damage to your bank account.